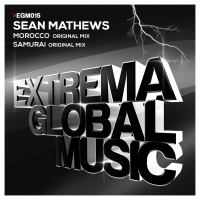 In a relatively short space of time, Sean Matthews has already established himself as an exciting new talent on the scene with releases and remixes on labels includiing Infrasonic and Vendace and support from key tastemakers including Armin van Burren and Aly and Fila. We are now pleased to add Manuel le Saux and his Extrema Global Music label to that list with the release of this fantastic two tracker. Both Morocco and Samurai are destined straight for the main room with plenty of big riff action and and peak time energy. 'Morocco / Samurai' is available now from Beatport and iTunes.